Kevin Stuckey, president of the Seattle Police Officers Guild, said as long as the rules are legal under state law, he will support the changes. Last week the Seattle City Council unanimously approved a historic rewrite of the Seattle Police Department’s oversight system, marking the most dramatic change to the department’s accountability process in decades. According to a recent news story written by reporter Lester Black for TheStranger.com, the legislation now awaits approval from the mayor, police unions and a federal judge. Sponsored by council member Lorena González, the plan brings more civilians into the police discipline system and greatly increases the number of city employees keeping tabs on the department. Two unions that represent Seattle officers present the highest hurdle for the new accountability system. The Seattle Police Management Association (SPMA), which represents the department’s captains and lieutenants, filed an unfair labor practices complaint last October over the legislation, claiming the city is skirting its collective bargaining obligations by passing the legislation before the union agrees to the specific reforms. Kevin Stuckey, president of the Seattle Police Officers Guild, told the council during the public comment period that he would not impede the legislation. SLorena González, chair of the public safety committee, called the legislation a step forward in enhancing trust between police and the residents of Seattle. “I truly believe that this will be an accountability system that will have legitimacy amongst our officers and our accountability advocates. That is quite an achievement,” González said. Some advocates say the legislation doesn’t go far enough, noting that it keeps the ultimate power to change Seattle PD policy and discipline cops in the hands of the mayor and chief of police, where that power has always been. Councilmember Kshama Sawant said the law was a small step toward the goal of police accountability, adding that she would have liked to see more meaningful civilian oversight in the mix. Standing on the steps of city hall, surrounded by many of the advocates that six years ago called on the Department of Justice to intervene in reforming the SPD, Mayor Ed Murray said he fully intends to sign the legislation. Under the new law, the Office of Professional Accountability, the current agency that investigates police misconduct, is renamed the Office of Police Accountability (OPA) and will be supervised entirely by civilians, with a mix of civilian and sworn SPD officers serving as misconduct investigators. The OPA remains a unit within SPD and all discipline will still be ultimately up to the chief of police. The law creates an entirely new Office of Inspector General, which will be charged with evaluating SPD’s policing, the OPA’s disciplinary investigations and issuing policy recommendations to the city. The inspector general will have a staff of three full time employees to conduct this oversight, and the inspector general is able to tell the OPA to further investigate a specific misconduct case if the inspector general feels it was inadequate. The Community Police Commission (CPC), which was created in 2013 to provide community input on the court-ordered reforms to SPD, will be made a permanent body to act as a conduit for community input on policing in Seattle. The volunteer commissioners are a mix of lawyers, religious leaders and community leaders and will be supported by a staff of paid employees. The CPC will not have power to investigate individual misconduct complaints, comment on individual complaints of misconduct or directly change SPD policy. The commission had sought the ability to conduct annual reviews of the inspector general and director of the OPA, but amendments to give those powers to the CPC failed at the public safety committee. Only councilmembers Lisa Herbold and Mike O’Brien voted to give those powers to the CPC. • The ability for the CPC and OPA to add specific topics to the OIG’s yearly work plan. The OIG can still decline any additions from the CPC or OPA, but must do so in writing. • The CPC was given the power to view confidential files attached to closed OPA investigations. • The right for all three of the oversight entities to retain legal counsel outside of the city attorney’s office when the city attorney declines to represent the entities’ interests. The law will also end the controversial Disciplinary Review Board, which heard officer’s appeals to disciplinary actions. The review board will be replaced by the Public Safety Civil Service Commission. The mayor will appoint two members to the commission, the city council will nominate one. Monday’s vote comes five years, and tens of thousands of hours of work by advocates and lawmakers, after the city entered into its consent decree with the city in 2013 to reform the city’s police department, but the law still has at least three more hurdles on its way towards reality. Should the mayor grace the legislation with his signature, it will then go to US District Judge James Robart, who will decide if the reforms violate a consent decree agreement between the Department of Justice and SPD. Chief Kathleen O’Toole warned in a letter last week, just as the legislation was nearing the finish line, that it was overly complex and could be incompatible with the intent of the consent decree. Murray declined to specify which parts of the legislation are dependent on negotiations with the city’s two police unions, citing state law protecting the secrecy of collective bargaining, but said the city would move ahead with creating the accountability system. 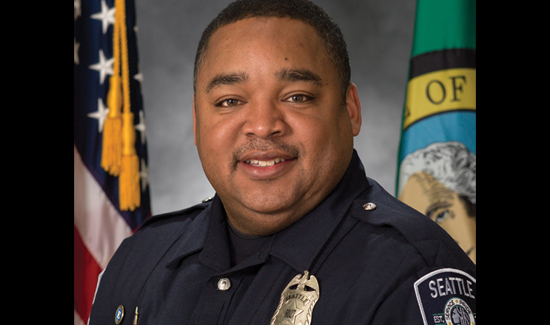 When asked why there were no members of the SPD management standing with him on the City Hall steps Monday, Murray said the absence was unintentional. “The chief was going to be here but I am not exactly sure why we don’t have someone here, but it was a SNAFU, not a snub,” Murray said. Following that complaint, the city asked Robart last November to wade into the dispute on the grounds that bargaining with SPMA on the reforms prior to passing them would illegally delay progress on the consent decree. Robart declined to wade into the bargaining fight, saying there wasn’t sufficient reason to modify the city’s obligation to bargain with unions. Robart also told the police unions that he would not allow the reforms to be “held hostage” by the union negotiations. The Washington Public Employment Relations Committee, which reviews unfair labor complaints for state employees, found in a preliminary ruling that SPMA’s rights could have been violated and will hear testimony and evidence for the case this July. It’s not clear what parts, if any, of the legislation will be delayed because of the union negotiations. González said, in a press conference before the council meeting, that she expected the reforms to be implemented quickly. “That is my hope, that by the end of this year we will be able to stand up all of these three entities and they will be set up for 2018 and beyond,” González said.